Creole style with a contemporary twist. These 9ct white gold small infinity creole earrings work with every look. Dressed up, or down, they bring a touch of elegance to any outfit. 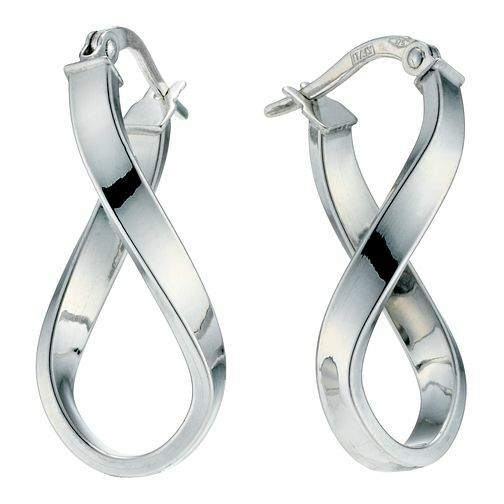 9ct white gold small infinity creole earrings is rated 3.7 out of 5 by 6. Rated 4 out of 5 by Anonymous from Elegant earrings Elegant earrings with quality fastener. The earrings are larger than expected as website did not have any sizes on or show someone wearing them. Other than that, I love them.